Honda Malaysia has officiated its No. 2 Line at its Pegoh plant in Melaka. Occupying a built-up area of 49,190 square metres, the new line doubles the plant’s total production capacity from the current 50,000 to 100,000 units per year, and from 200 to 400 units daily. The No. 2 Line, into which a total of RM382 million was invested, began production in November 2013. Like Honda’s Yorii plant at the Saitama Factory in Japan, the line specialises in “small models” and their hybrid variants. This leaves production of the current City, Civic, CR-V and Accord to the No. 1 Line, which has been operational since January 2003. The new line currently builds the second-gen Jazz petrol and Jazz Hybrid, but it follows that in the future, the new City, the Vezel crossover and the third-gen Jazz (along with their hybrid counterparts) may be built here too. The line produces about 105 cars over one shift a day at present, but another shift is set to be added in the future. 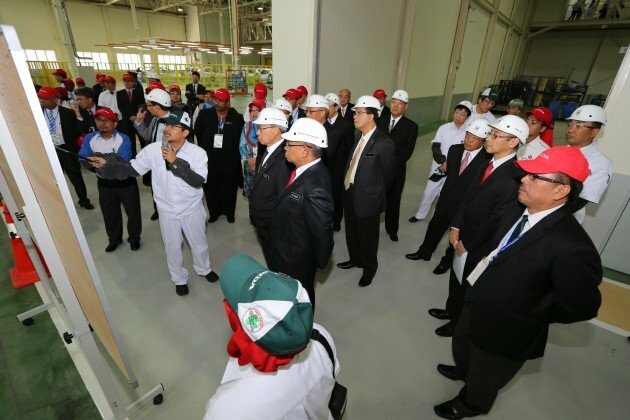 In line with NAP 2014‘s known aim to make Malaysia an Energy-Efficient Vehicle production hub for the region, exports out of the Pegoh plant could also happen in the future. The addition of the No. 2 Line brings the total area of the Pegoh plant to around 96,000 square metres, and 700 new associates are expected to come on board. The No. 2 Line introduces a number of new technologies from the Yorii plant, including an automated Smart Welding Machine (the first outside of Japan), an advanced paint facility incorporating wall-mounted Spray Robots, Under Body Coating and continuous body dipping, and an enhanced Multi Driving Tester (MDT). The MDT, situated at the Vehicle Quality section near the end of the line, involves four-wheel rollers on which a vehicle’s brakes and speedometer are put to the test. It can even check a hybrid’s IMA system and battery condition. Moreover, the MDT’s rollers are regenerative – on deceleration, they generate electricity to be fed back to the plant. Healthier and more eco-friendly waterborne paints are set to replace the current solvent-based paints for vehicle bodies in the future, while high-efficiency equipment, lean processes, the use of natural lighting and solar energy contribute to help Honda realise its global environmental target of a 30% cut in CO2 emissions by 2020. Honda Malaysia has enhanced its overall operations over the past few years with a new parts warehouse, a 2.15-km test track facility, an R&D facility and a new pre-delivery inspection centre. It also recently switched to rail transport for delivery of parts between Thailand and Malaysia. According to Ueno, Honda Malaysia targets to sell 76,000 cars in 2014 – about 40% more than it did last year. It also aims to increase parts localisation from 30-40% previously to over 70% in the near future, and the number of dealers in Malaysia from the current 70 to 90 by 2015. 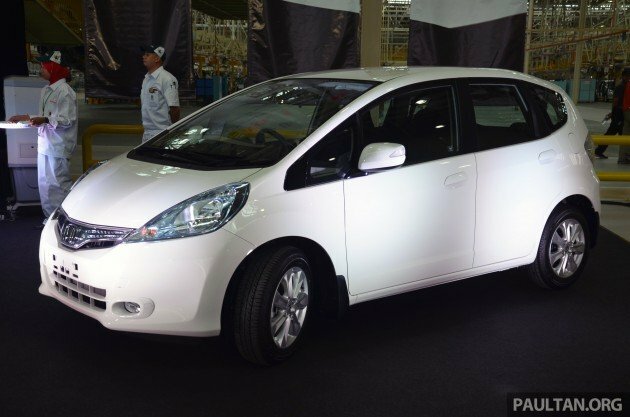 As of December 2013, the company has cumulatively sold more than 22,000 hybrids in Malaysia. A total of around 600,000 Honda vehicles were delivered to Asia and Oceania last year, revealed Asian Honda Motor CEO Hiroshi Kobayashi, who was also there at the ceremony. This is targeted to double to 1.2 million units in those regions by 2016. It is obvious that Honda Malaysia is going to be one of the major player in the EEV arena, in anticipation of the benefits offered in the soon-revealed NAP 2014. Not surprising, given that they have probably been in close contact with MAI in collaboration with DRB-HICOM, and based on the expected investment figure from Japan. Definitely Honda Malaysia had been one of the main influence on the NAP. I just hope that to the Malaysian motorists, this would translate to cars which are of better quality, choice, cleaner and most importantly more affordable. Yes only Proton and Honda seems to know early what NAP brings ahead of other competitors. DRB once again being helped by MITI quietly. But who cares, they never play level field since day one. Pembuli will always be pembuli. Indeed, it is nice to see Honda setting a foot here and with a collaboration with DRB HICOM after Kah Motor. You can’t go wrong than partnering the country’s biggest industrial asset owner. But what saddens me is the lack of quality from locally made Hondas since the ES Civic, which is practically the first Civic assembled by this joint venture. I can’t speak for the entire industry, but from my pool of friends, i get the sense they get LESS complaints from their Perodua than the Hondas. Oh gosh, I can expect a CKD third gen H. Jazz? I am anticipated of a CKD version, the faster the better, and remember to price it lower than the current 2nd gen CKD petrol. Don’t worry Honda, after you have sold Accord rights to Proton. Your market share in Malaysia will definitely drop, just like how Mitsubishi did. When Proton launched the Inspira, the new Lancer was also sold alongside it. This is not the case with the Perdana. Honda MY already launched the 9th gen Accord last year, before the new Perdana. The new Perdana is based on the older 8th gen Accord. There is no need to worry about marketing conflicts because there aren’t any in the Perdana’s case. Also, Mitsubishi MY’s sales went down because they did NOT have a good B-segment volume seller like the Vios and City. Mirage and Attrage price clearly being forced to be more RM10K expensive than Thailand price, to make Proton SV much better buy. how much more expensive is the vios compared to thailand? 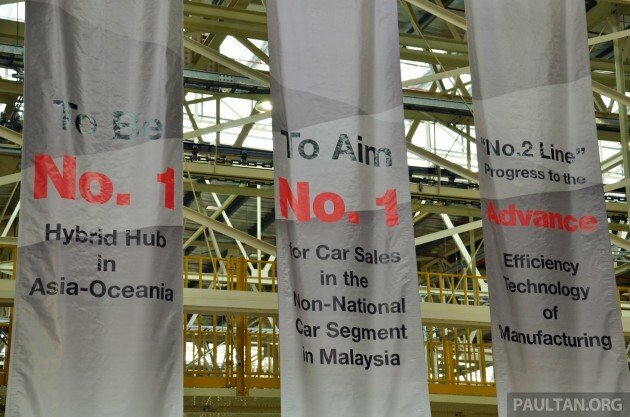 Proton sell new Perdana to government only, thus there is no effect to the latest Accord sold on malaysia. It will affect the resale value of same Accord model generation which is unfair and unnecessary loss to the Accord owner, given the fact that Spanco allowed to resell the rebadged govt Accordana to the govt officers or public auction it after contract maintenance period lapsed. Honda basically shooting itself on the foot, just like Mitsubishi did. Anyway among 60 million Japanese, not all of them are smart. Ada juga yang bodoh dan senang kena tipu. Honda – The number 1 dreamer. I thought I saw Anwar. Good job honda and good luck! Will support your future product if the price is right. Who is fooling whom now. plz check the jazz price in langkawi. You are lying jagoh kangkong. at least honda gives vsc and airbags with the car, not adding it as a cost option. our lives are a cost option? Yes, you need money to eat. Good, good, well done Honda MY. Unlike UMW Toyota, Honda MY is doing sensible things at least. Yes, Honda MY still won’t give us 6 airbags and ESC + TC standard, but at least they are moving ahead in the green technology area. I hope Honda MY squashes UMW Toyota’s sales in 2014. UMW Toyota has been No.1 non-national for too long, they’ve become incompetent and greedy. Sam Loo is soooo gonna kill me now. Looks like Honda has standardized ESP in its lineup (except City 1.5S), but number of airbags should be standard at least 6, more is better… Active and passive safety should come together… And yes I hope Honda MY crush UMW as the 1st non-national, in passenger car context maybe, but really it is very hard indeed as Toyota also depends on ‘commercial’ vehicles like Hilux, Fortuner and Hiace which Honda does not have any product sold in the segment..
You go tell that to Proton, OK macai. Don’t worry, he won’t. He is too despair to talk now. I just bought him a KIA for birthday. This is just the reward for allowing Govt to rebadge the Accord through Proton. With the potential new ruling, only malaysian assembled hybrids under 2000cc will still get the rebates whilst imported models will not. Hence making Honda hybrids the only one with a price advantage. Well done Honda and all the best in the future. Wonder who tell Honda to build factory early before revised NAP contents revealed….??? look like honda will kill other market share especially toyota with their CKD price. and for sure other brand will reduce the price or increase their xtra features. btw im waiting VW Golf CKD or Jetta CKD. Because Honda being told early about NAP contents, that’s why they build new factory faster. MITI banyak bagus sama DRB. Excellent move by Honda.Hope they ckd the 3rd gen Jazz.Sure become best selling supermini in Malaysia.Overtake the Champion Myvi.Love their jazz and latest accord models:) New Nissan Note coming end of this year and maybe new jazz(unknown at this point of time),can finally sell my junk Myvi away!!! Later, Perodua sales will kaput:)LOL. You go relocate and live in Langkawi buy Jazz CKD only RM40K price. Omedetou Honda Malaysia .. Thank you for providing opportunity for the locals to grow! More chances that Honda City and Honda Vezel will follow suit as Honda Jazz – Produced in Malaysia instead of just CKD like others. Hence, we shall see official price drop of Honda City in New Generation. Sam Loo is big Toyota fan??! How many Toyota car he has? !